Wavehill Estate is a holiday home located in Waiporous Village in the Alberta Region and is 29 mi from Banff. 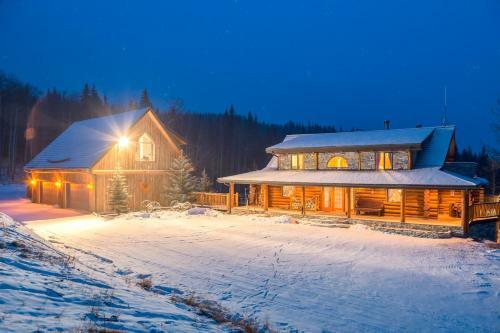 The property is 22 mi from Canmore and features views of the mountains and surrounding valleys. Free WiFi is provided throughout the property. 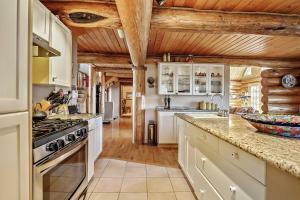 There is a seating area, a dining area and a kitchen. Towels and bed linen are offered in this holiday home. Free private parking is also available on site. There is a theater, hot tub, fire pits, and seating areas at the property. You can play billiards at the property, and the area is popular for fishing. Calgary International Airport is 42 mi away. When would you like to stay at Wavehill Estate? This holiday home has a balcony, dishwasher and flat-screen TV. With a steady stream of 5 star reviews Wavehill Estate continues to provide a true sanctuary for those seeking a very high-end vacation experience. 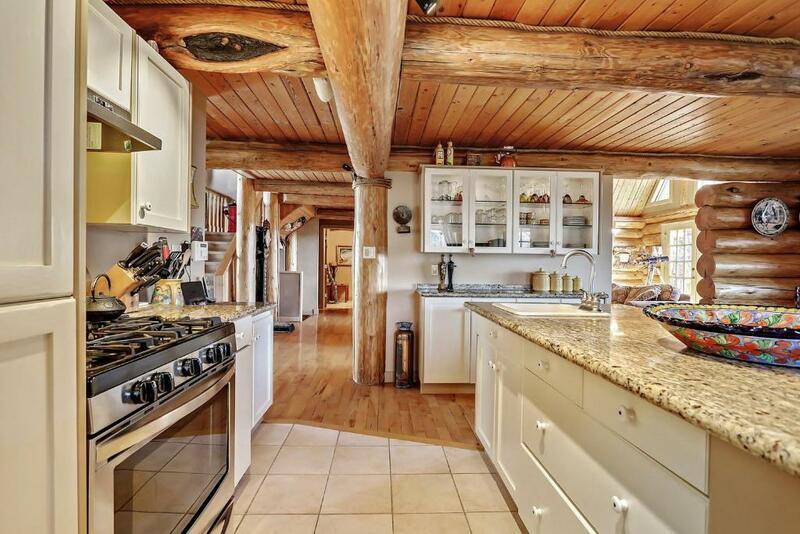 A spectacular 3 bedroom log and stone home, Wavehill is more like a mini resort that was built with total Hedonism in mind. 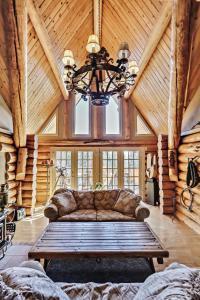 The home is lavishly furnished with high quality artworks, memorabilia and rare antiques. Over the years Wavehill has attracted not only families but famous models, artists, musicians, movie stars and iconic business leaders. 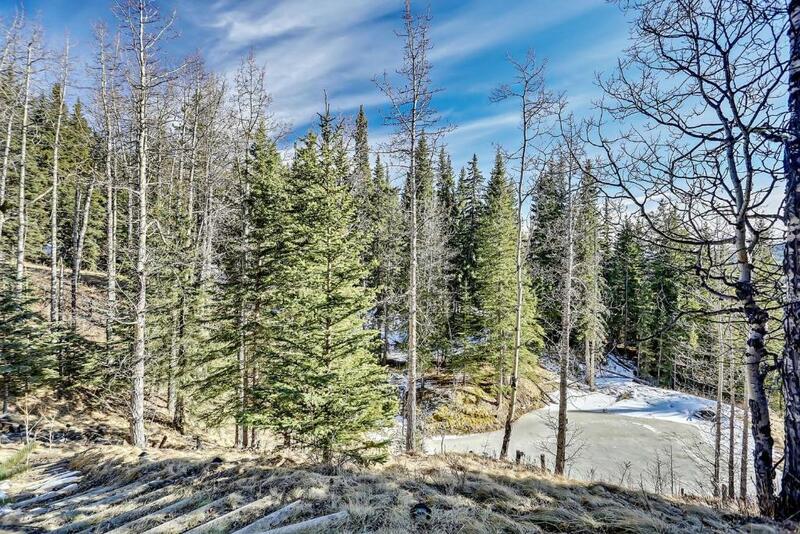 Immersed in nature and all its glory on a daily basis, this magnificent hillside property of over 90 acres is bordered on all sides by crown land and the Rocky Mountain Forestry Reserve. Wavehill offers stunning, uninterrupted views across the adjacent valley to the Rocky Mountains, providing the ultimate in privacy and seclusion. 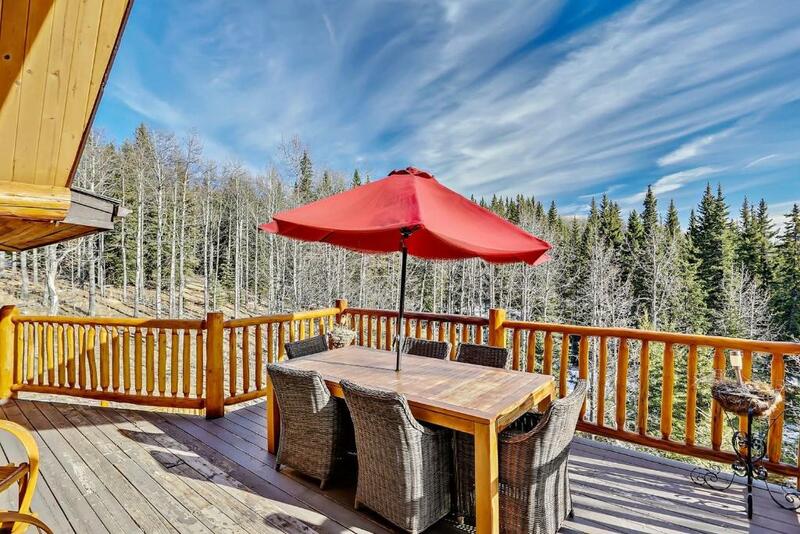 Features include a theater, outside Jacuzzi, huge 6 person shower with stereo, pool table, full size-gym and hilltop observatory with 180 degree panoramic views. This is a destination where you can instantly decompress and escape. I arrived in Calgary 12 years ago and had dreamed of owning a luxury resort style log home in the mountains. 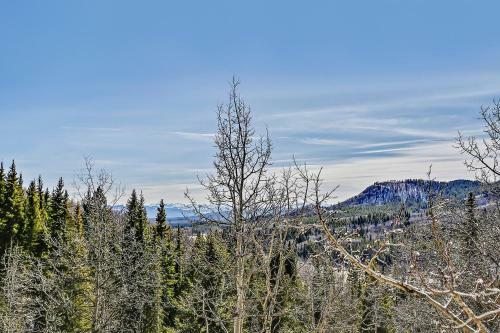 I searched all the typical areas to find a suitable location, Bragg Creek, Canmore and Kananaskis Country, but found these areas very congested. What i really wanted was total privacy, complete silence and panoramic views. 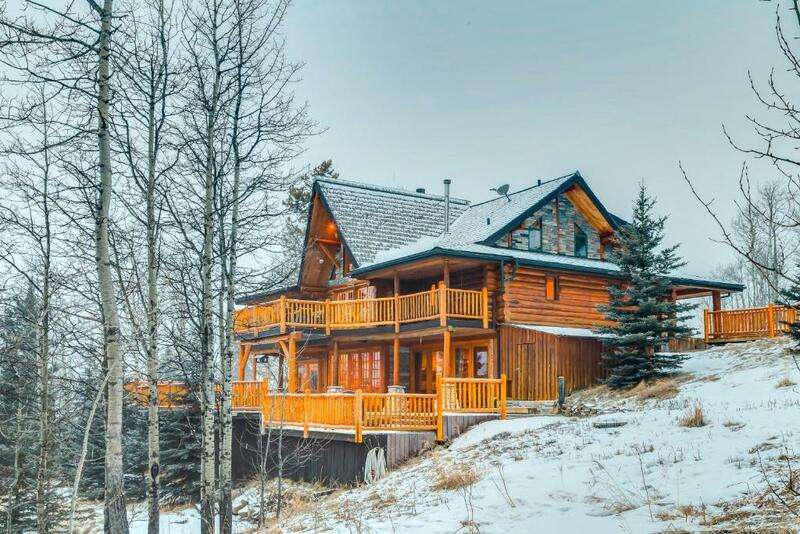 Fortunately a friend told me of an acreage that had a partially built log home that bordered the Rocky Mountain Forestry Reserve NW of Cochrane. 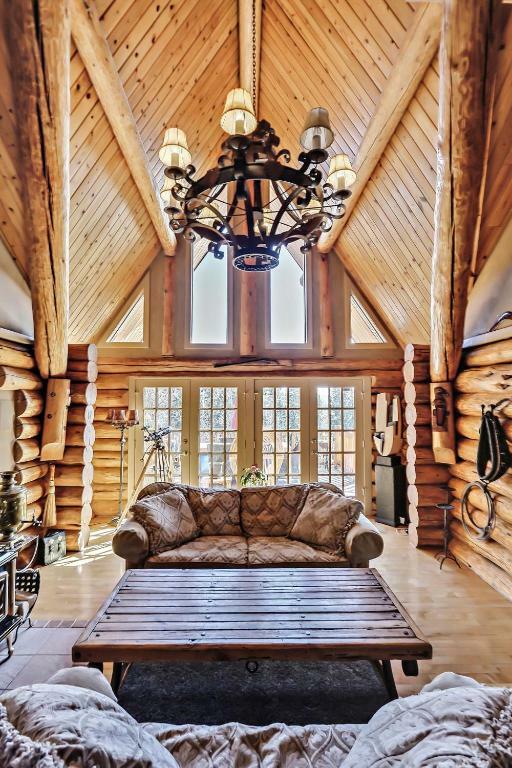 As soon as i saw the property i fell in love with the possibilities. I spent a year finishing the home and included lots of exceptional features so that i could totally indulge myself as well as entertain corporate clients, friends and family. House Rules Wavehill Estate takes special requests – add in the next step! A CAD700 damage deposit is required 14 days before arrival (about USD523.52). This deposit will be fully refunded 7 days after check-out, as long as there isn't any damage to the property. Wavehill Estate accepts these cards and reserves the right to temporarily hold an amount prior to arrival. Please note, a security deposit is required and is fully refundable within 14 days of departure after a thorough inspection and clean is conducted. Please note, guests canceling 90 days and earlier prior to arrival will incur no penalty. Cancelations in less than 90 days prior to arrival will forfeit the security deposit. Additional people beyond the official capacity will be charged an additional CAD $100 a day. Daily housekeeping is not provided. Please note, this is a 100% nonsmoking home. Evidence of smoking will be charged a cleaning fee. Pets are not permitted on the property at any time. Please note, children under the age of 12 are not permitted to use the hot tub. Guests are asked to obverse quiet hours after 22:00. Please inform Wavehill Estate of your expected arrival time in advance. You can use the Special Requests box when booking, or contact the property directly using the contact details in your confirmation. A damage deposit of CAD 700 is required. The host charges this 14 days before arrival. That's about 523.52USD. This will be collected by credit card. You should be reimbursed within 7 days of check-out. Your deposit will be refunded in full by credit card, subject to an inspection of the property. We need at least 5 reviews before we can calculate a review score. If you book and review your stay, you can help Wavehill Estate meet this goal. The fact I had to come home! Check the small print as you have to pay for the stay in advance of your booking becoming non-refundable (although i understand this will be refunded if you cancel during this period). Wasn't an issue given I didn't plan to cancel but might catch you by surprise if you are keeping your options open. Wasn't the properties fault but there was a restriction in place not allowing us to light fires which was a real shame given it gets quite cold at night and I imagine its wonderful sitting outside next to the fire watching the stars. The place is absolutely amazing. The house itself is beautifully decorated, comfortable and incredibly relaxing and the hot tub is a great way to chill out after a day of exploring. 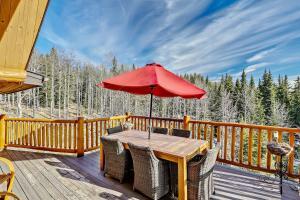 The cabin on top of the hill also has the most amazing views. So quiet, peaceful and beautiful. Can't wait to go back.